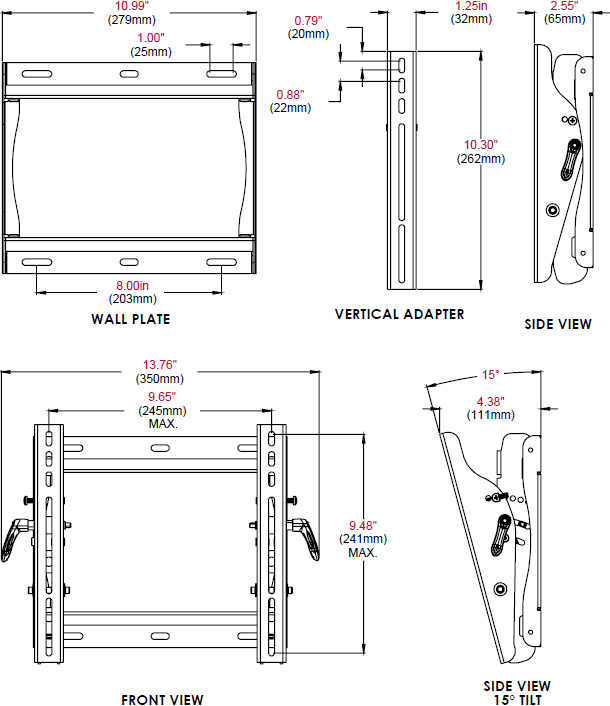 Peerless ST635 features open wall plate architecture that offers enhanced access to electrical and cable management. Combined with its easy tilt angle adjustment display adaptors to achieve the ideal viewing angle and you have one quick and simple installation. Helpful Hints: This product is not compatible with M8 hardware.